A stairway outside a particularly abandoned-looking house. 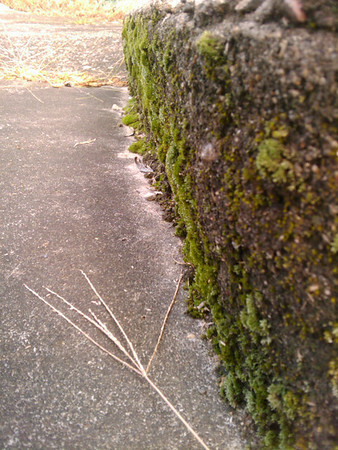 I was proud of myself for noticing this patch of moss - it's not really obvious, despite being right on the footpath. I've nearly made it two weeks - tomorrow is my summary post! I hope you're all enjoying this as much as I am. I have topical posts in the works, but I'm largely waiting on data, so I can't really write yet. Hopefully soon.